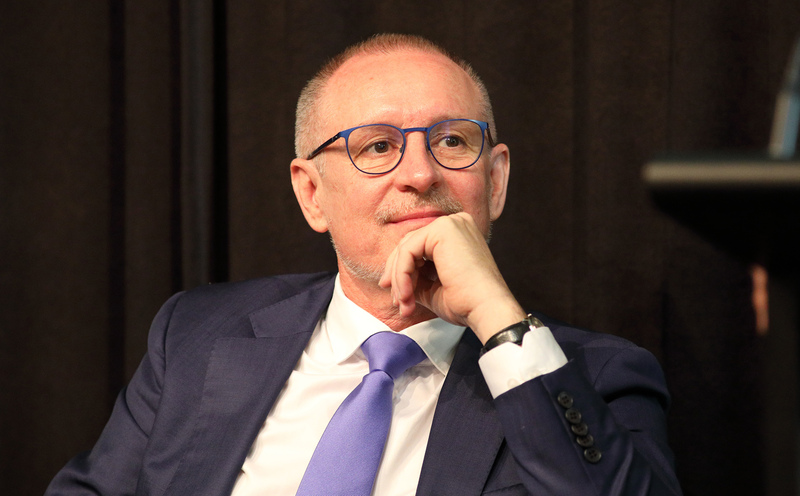 In his first public speech on energy policy since losing the March state election, Weatherill addressed a late October event hosted by the University of Melbourne and co-sponsored by the Australian Wind Alliance, footage of which has since been posted online. In it, the former Labor Premier is scathing about the federal “political forces gathering to strike a fatal blow to South Australia and its leadership in renewable energy” after the statewide September blackout in 2016 and subsequent load-shedding event in February 2017 that saw 90,000 homes lose power. “It culminated in the then-Treasurer, the current Prime Minister Scott Morrison, brandishing a lump of coal in federal parliament… the day after our load shedding event,” Weatherill recalled. “It was an unprecedented attack by the Federal Government on one of its constituent elements – a state… it was as though they were conducting themselves in relation to a belligerent foreign country. Weatherill said the sustained response meant “we had to really ask ourselves whether we maintained our strategy in relation to the leadership in renewable energy or whether we capitulated”, with “voices within our bureaucracy [and] even some of my colleagues questioning whether this was the right course given the pressure we were under”. The “critical turning point”, he said, came two days after the February outage, when “coal-rich New South Wales was subjected to an identical load shedding event that South Australia had suffered just two days before”, but for longer and on a larger scale. “This was a fundamental shift in the nature of the debate,” Weatherill told the audience. Turnbull’s government, he said, “for base reasons sought to politicise a state emergency” and were “now the proud owners of a broken national electricity market”. “And this is quite a feat because constitutional responsibility for energy actually resides with the states,” he added. Turnbull lost the Prime Ministership in August, days after dumping the key element of his National Energy Guarantee – a 26 per cent emissions reduction target – in the face of hostility from his party’s conservative wing. Weatherill told the audience his Government was forced “to use this crisis as an opportunity, and we did that”. “I stood up and I said the national electricity market is broken and South Australia is going to take charge of our energy future,” he said. The resulting State Energy Plan saw the government purchase backup supply generators and sponsor Solar Reserve’s entry into the market. “We made an early decision that a central part of the plan was going to be a big battery, a grid level battery which would provide stabilisation services and also give us the capacity to meet reserve shortfalls,” he said. Weatherill now says the now-famous Twitter exchange between Tesla entrepreneur Elon Musk and Atlassian co-founder Mike Cannon-Brookes that put the battery deal on the public agenda came “three days before we were about to launch our plan”. “It was already going to be a part of our plan, but I was horrified to see Elon Musk tweet… that he would build one of these batteries for 100MW and if it wasn’t delivered in a hundred days it would be free,” Weatherill said. The battery project’s international plaudits, Weatherill insists, “helped to some degree to turn around the reputational damage that was done to South Australia by our federal colleagues”. “I don’t think there’s been a point in the history of the state, at least certainly in recent memory, that the state has received so much positive international coverage,” he said. But if that was true abroad, it was less so at home. “It’s worth reminding people of how sceptical people were about this technology,” Weatherill recalled. Weatherill says the push into renewables was a hallmark of the Labor Government from the moment it entered government in 2002. “I mean, South Australia is an unusual place, in a way – it’s really a slither of a population perched on the edge of a desert, and climate change represents particular risks to us. “This isn’t an academic exercise for us. Climate change and the way in which our climates will alter fundamentally changes the capacity for SA to be liveable, and certainly for us to replicate the economy we once understood and had. The former Premier acknowledged his predecessor Mike Rann, saying “he really put us on this trajectory”. “What I’ll take credit for is not running away when it got tough… that was the moment of truth – the forces were gathering to deliver a coup de grace on SA,” he said. “Everybody thought the blackout was the end of us… [but] the policy response became a really positive thing,” he said. A new Australian Energy Market Operator report says the “dynamics of the power system in the National Electricity Market, and South Australia in particular, have changed significantly as ageing coal-fired generation assets have withdrawn and wind generation, behind-the-meter rooftop photovoltaics generation and battery storage have grown rapidly”. South Australia, it says became “a net exporter to Victoria [in the last financial year] after the retirement of Hazelwood Power Station”. However, SA retains the nation’s highest power prices, with the report sounding caution over the future challenges of intermittent wind and solar energy, arguing the Marshall Liberal Government’s promised interconnector to NSW, “currently undergoing investment testing, will be critical to help maintain reliability in an efficient manner”.